Lot 77 C/I CAMBRIAN RAILWAYS Notice. 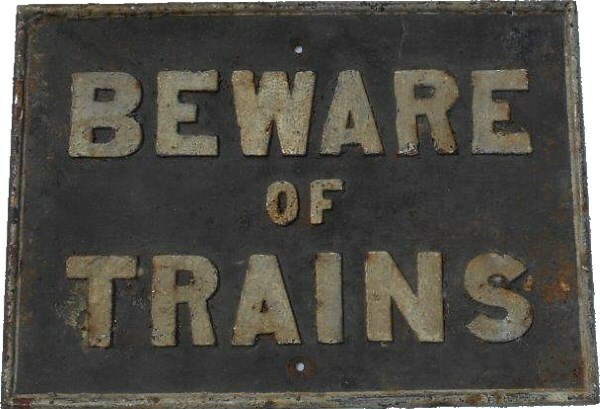 "BEWARE OF TRAINS". Size 20" x 14". Ex trackside.